Bitcoin, born in Crimea, weighs 3 kg and is completely healthy. Yes, you read that right. A couple from Crimea decided to name their newborn baby boy 'Bitcoin' in honor of the world's most expensive cryptocurrency, local media report. According to the boy's father, 31-year-old Simferopol resident Oleg, he and his wife owe their financial wellbeing to the spike in Bitcoin's value, and wanted to show their gratitude. Moreover, the young father has already thought up names for his possible future children. If he has another son, he plans to name him 'Satoshi' – after Satoshi Nakamoto, the name used by the person or persons who devised Bitcoin. If it's a girl, he will name her 'Dash', after Dash, another cryptocurrency. 'Bitcoin Olegevich', the boy's official name under the patronymic naming system used in Russia and other East Slavic countries, weighed in at 3 kg at birth, and is completely healthy. Bitcoin, the world's best-known and most expensive cryptocurrency, was launched in 2009 as an alternative to government-backed currencies. The currency's value skyrocketed in 2017, from $720 in January 2017 to over $20,000 in mid-December. 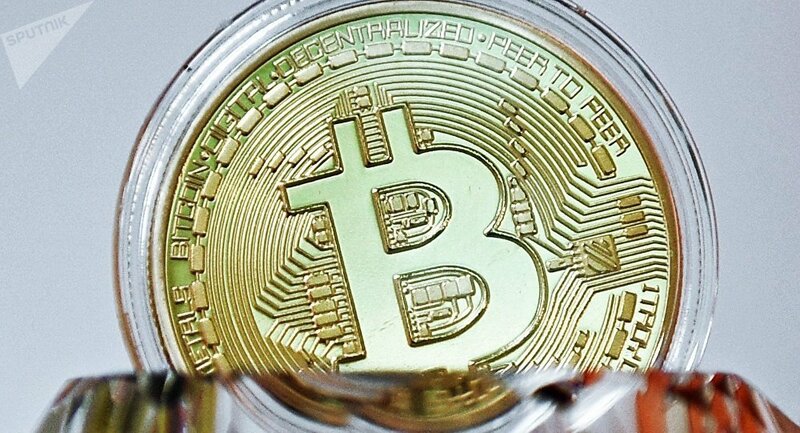 The currency's value dipped some 13% Wednesday to about $16,500 after several global financial regulatory agencies warned potential investors about the possible risks associated with investing in the cryptocurrency.